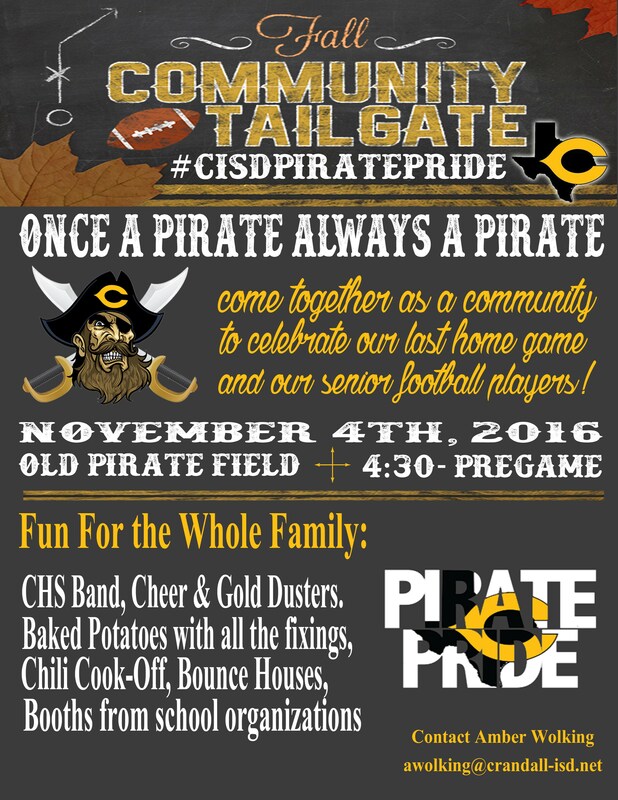 Come join the Crandall ISD Community for our first official Community Tailgate on Friday, November 4, 2016 at 4:30 pm. 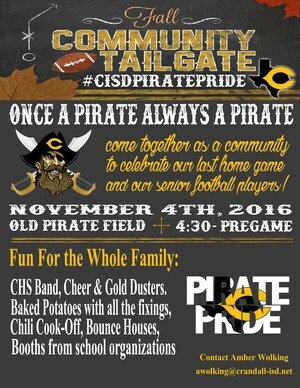 Come celebrate the Pirates last home football game of the 2016 season! November 4 is senior night, and CISD wants to celebrate the community at large with a large tailgate complete with food and music! Come hear the award-winning Pirate Regiment Band and socialize with friends and neighbors before walking over to Pirate Field for Pre-Game. 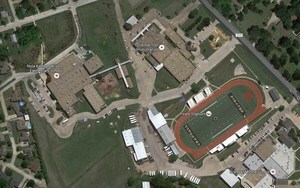 Parking can be found at Nola K. Wilson Elementary.